The provided link entitled “ISRAELITES Biblical & Historical” is a video that was made for the purpose of building a case for the belief that blacks are the original Jews. Although a strong effort is made to build this case, the video has a few biblical and historical inaccuracies, which are listed below. The Egyptian art shown in the video only depicts the darker skin color of the multi-skin toned Egyptians. Many Egyptians were of the lighter skin completion as well; which can also be seen in their art. It is stated in the video that Joesph’s brothers didn’t notice a difference between Joseph and the other Egyptians because they all looked the same. That says nothing about Joseph’s skin color since Egypt consists of multi-skin toned people. If Joseph were in Nubia, that would be of some significance; not Egypt. That goes for Moses, Paul, and all the other Jews. It is stated that Israel is occupied by European Zionist Jews. This is true. But the video does not acknowledge the scattering of the Jews by Rome, and that many Jews migrated into Europe after Rome destroyed Jerusalem in 70 A.D. Therefore, the accusation made in the video, of “the Zionist Jews in Israel are not the original Jews who lived there”, has not been addressed. The burden of proof has yet to be satisfied. The Scriptures stated in the video were suggested, by the videographer, that they apply to the people of Africa who were taken into slavery over the last 400 years. Yet, it does not acknowledge the Jewish Babylonian captivity, the oppression of the Jews by Persia, Greece and Rome, or the persecution of the Jews in Europe and around the world to this day, which amounts to about 2600 years of oppression. In other words, the passages were taken out of context and applied to any oppressed African, as though all Africans were Jews, and not just specific African Jewish tribes. This video does not prove its claims, but raises questions about it. This video is a sad attempt to give blacks a false sense of hope and self-worth – “black pride”. It is fleshly, and not spiritual. Black self-worth should not come from an earthly nationality, but the knowledge that all humanity has been made in God’s image, and in the knowledge of the redemptive work of Christ Jesus. Christ’ church is the holy nation and royal priesthood (1Peter 2:9-11). Its righteousness is found in Christ’ perfect life, his payment for our sins, and his resurrection from the dead. Our righteousness is not found in keeping the law of the Old Covenant. Instead, it is found in believing in Jesus Christ through obeying his teachings of the New Covenant. His New Covenant is different from the Old Covenant, because the Old Covenant only shows us our sinfulness and condemns us. The New Covenant changes people by giving them faith to believe and repent of their sins (1Peter 1:22-25). It empowers them to keep the commandments of Christ. It does not empower them to keep the Old Covenant law (Galatians 3:1-4 & Galatians 5:1-9). 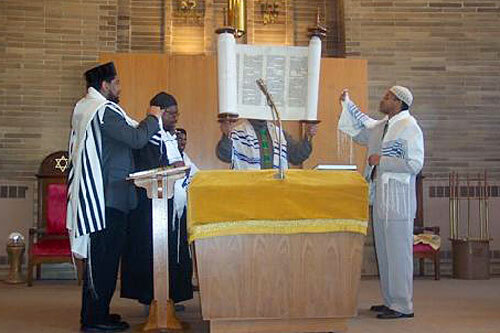 This “black Jew” theory is a seducing spirit for blacks who are not satisfied with the gospel of Jesus Christ. They would rather put their trust in something earthly/carnal/sensual, such as the nationalism of “black pride”. They are no different than the Europeans who deceived the world into believing in a white Jesus. This is more of the same carnality; just promoted by a different race. Flee from this heresy. At it’s heart is legalism and blasphemy, since it encourages people not to be satisfied and made complete in Christ, alone. 10 For whoremongers, for them that defile themselves with mankind, for menstealers, for liars, for perjured persons, and if there be any other thing that is contrary to sound doctrine. 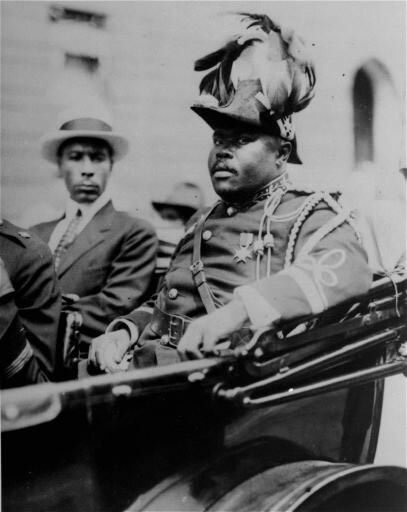 The provided link entitled “Marcus Garvey” is a documentary of Marcus Garvey and the Pan African Movement. The film documents the life of the black civil rights leader, Marcus Garvey, who made black pride a reality for African Americans. It also traces the history of the Pan African Movement in America.